Last night I had honour of launching my good friend Leanne Hall’s new book Iris and the Tiger at Readings in Carlton. Leanne has already published a couple of YA novels, but this is her first novel for younger readers and it’s an absolute winner. 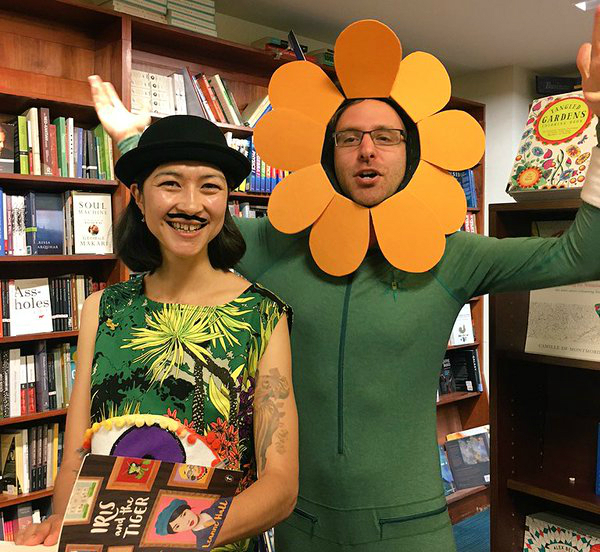 So much so that I dressed up as my favourite scene from the book for the launch. Here we are enjoying a moment at the book signing afterwards. Thanks to Steph at Text Publishing for taking the pic. It is my great honour (and stiff-necked misfortune) to be launching Leanne Hall’s splendid children’s novel Iris and the Tiger tonight. I want to talk about the brilliance of this book – and I will – but first allow me to explain why I look the way I look. The first is that this is a Leanne Hall event. So we’re doing things the Leanne Hall way. And when Leanne Hall invites you to launch her amazing new book – and suggests on social media that it’s going to be a dressing-up kind of occasion – you do not disappoint by showing up in jeans and a shirt. So I’ve taken it upon myself to come dressed as my favourite scene from Iris and the Tiger. Iris, of course, is the hero of the story and we’re with her from page one as she flies from Australia to Spain to spend ten days with her Great Aunt Ursula. Aunt Ursula is vague and mysterious, and the big house on her estate, which is known locally as Bosque de Nubes, Spanish for ‘forest of clouds’ – is even stranger. The banister of carved vines seems momentarily to whip around Iris’s wrist. Notes on a sheet of music seem to have a life of their own. And a couple of overgrown sunflowers use their leaves to hit a tennis ball back and forth on an old court in the garden. Ever since I first read Iris and the Tiger, this scene with the sunflowers has stayed with me. Leanne has a special talent for writing scenes that, once read, do not go unremembered. They bobble around in the brain. For me, there’s just something completely inscrutable yet comforting and familiar about big sunflowers playing tennis. And that’s the second reason I’m dressed like this tonight. It’s all about the aesthetics. The tennis court tableau is, I think, representative of the kind of fantastical imagery that Leanne has a knack for conjuring – be it the tennis-playing sunflowers or the Kidds (capital K) who ride their bikes around town and terrorise people in Leanne’s debut book This Is Shyness). And while evoking such strong visuals, the beauty of Leanne’s prose doesn’t suffer at all. Technically speaking, it’s quite a thing to behold. The imagery in Iris and the Tiger is so strong that Aunt Ursula’s mansion feels like a real location to me. So real we probably could have had this book launch in Aunt Ursula’s lounge room. All of us, boarding a plane to Barcelona and driving three hours to Aunt Ursula’s estate. Then moving through the white mansion, across the coloured tiles on the lobby floor and into the lounge room for the book launch. A great chandelier would be hanging above our heads. Armchairs and tables and statues would be scattered all along one wall. While another wall would be covered in many different paintings, including a large painting above a fireplace of a woman and her greyhound, which appears to have five legs. Up the front of the shop – where the Readings counter sits – is where the grand piano would be, with its sheets of wandering musical notes. And Lygon Street would be the driveway that stretches all the way out to some fairytale woods where there may or may not be a tiger lurking. But Readings is a great place for a book launch too! And while the setting that Leanne has come up with would be amazing for a book launch, it’s an even better place for a story. 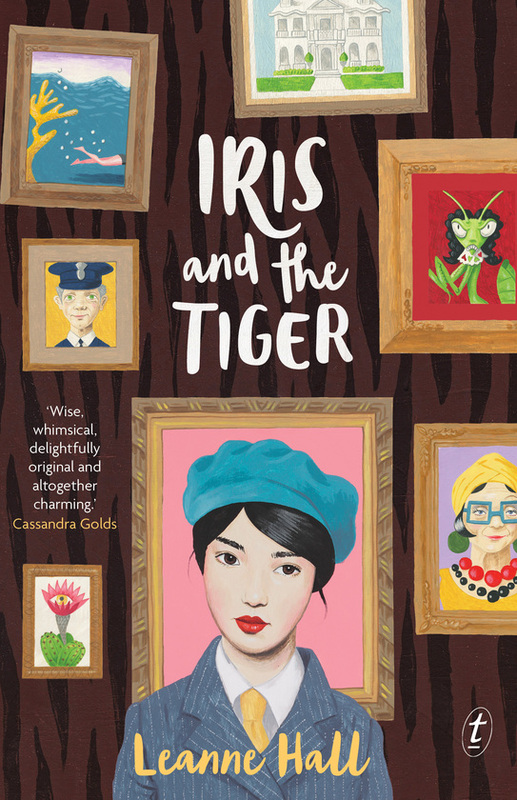 And let’s get right to heart of things – Iris and the Tiger is a story of art. It doesn’t just use art for cool visuals or as a reinforcing metaphor. Art is the story. Very particularly, surrealist art. Art has taken prominent roles in children’s books before. From Harold and his purple crayon through to every Herve Tullet book – and book-like object – published. Then there’s Gabrielle Williams’s YA novel The Guy, The Girl, The Artist and His Ex, which offers a fictional interpretation of the theft of Picasso’s Weeping Woman at the NGV in the 80s. And who could forget that seminal moment in children’s literature, when Flat Stanley disguises himself as a painting in order to catch some art thieves in a museum? But never before has art – surrealist art – played such an important role in a story for young readers as it does in Iris and the Tiger. Aunt Ursula’s dead brother is a famous surrealist painter. Iris and her new Spanish friend Jordi play a game of Exquisite Corpse. One of the horses on the estate is even called Miró. Surrealist art is weird and silly and mysterious. It knows the rules of realism, perspective and convention – but it breaks them anyway. Surrealist art is naughty. No wonder it’s such a good match for children. Leanne makes all of this work for her. Iris and the Tiger has such a rich atmosphere of wonderment and danger. It’s deeply strange, profoundly funny and full of emotion. And it’s a celebration of – and an argument for – art in the lives of children. When I was growing up my sister and I had a painting on our bedroom wall. It featured a little girl feeding rabbits in a field of grass. It wasn’t a surrealist painting. It wasn’t complicated in any way. But my sister and I spent a lot of time studying it. We made up different stories for the girl – and the rabbits. We counted the number of bunnies over and over again, often getting different tallies – we were young, we were learning. I remember one year we were rocked to discover a faint rabbit in the painting’s background that we’d never seen before. All of which is to say that I think we see art differently each time we look, depending on what stage of life we’re at. So it’s only natural for art to look different when we’re younger and not yet aware of all the visual associations, historical contexts and artist biographies. I can imagine readers returning to Iris and the Tiger over time in a similar way, re-reading it to see or learn something different each time. Because children are drawn to surrealist art. They like it. And you get the feeling that surrealist art would like being viewed by a child too. And that’s the genius of Iris and the Tiger right there. It takes the familiar dynamic of a person looking at a piece of art. And it says, what would happen if we flip this? What would happen if the ART looked at the person? Brian Eno has a great line about all this. He says that ‘children learn through play, but adults play through art’. Well, Iris and the Tiger has the best of both worlds. Because Iris is learning through play and playing through art – and investigating a mystery and coming-of-age all the while. So tonight, I don’t want to just launch Iris and the Tiger. I want to recommend it to all young readers. 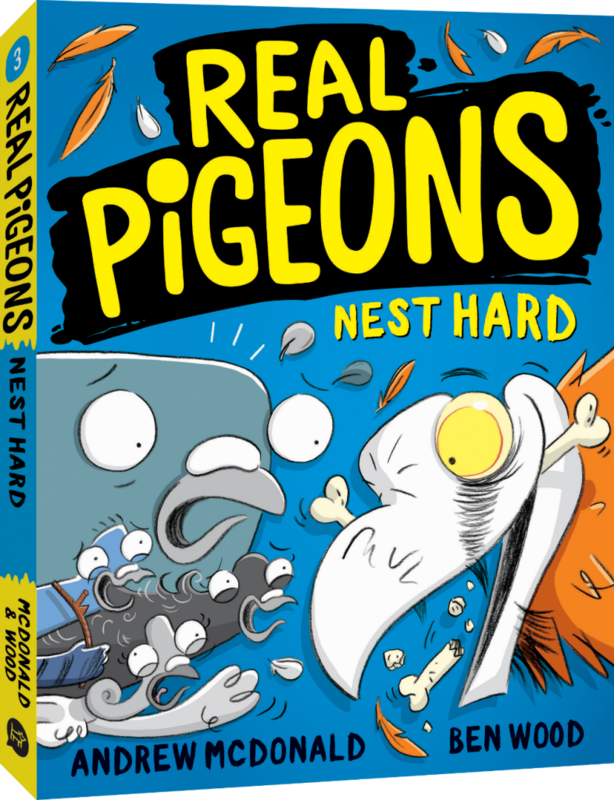 I want to recommend it to people who buy books for young readers – parents, grandparents, aunts, uncles, teachers, librarians. And I want to recommend it to anyone who wants to feel the youthful joy that comes from experiencing an incredible piece of art. A piece of art like this book.